Choosing a digital asset management platform for your arts and culture organisation - dfuob. A DAM platform helps with locating, manipulating and sharing digital media, which ultimately improves digital task efficiency. DAMs are also the single source of truth for the digital assets owned by an organisation. Managing your digital assets is fundamental for the smooth day-to-day operation of your organisation. Particularly within the arts and culture sector (infamous for sprawling, un-managed data), digital assets are used on an hourly basis for most modern marketers, fundraising teams, collections management teams, systems managers et al. As with most purpose-built software, DAMs have a plethora of features. Ultimately, a DAM is designed to solve the conundrum of identifying and locating files in the digital soup of platforms at your cultural organisation. Searching for images will be relegated to the past! All DAM platforms provide a similar set of features; some are more suited to specific industries than others. DAM platforms are often quite bloated and subsequently overpriced. There’s no denying DAMs are a convenience tool, but with increasing pressures on organisations in the arts and culture sector, a small investment in DAM software and digital processes can free up valuable resources within a your workforce. As a digital transformation manager I am tasked with the modernisation of Hampshire Cultural Trust, a charity founded in 2014 to manage 23 cultural venues across Hampshire. These diverse venues are made up of 16 museums, 3 arts centres, 3 art galleries, a dance academy, and a professional costume hire business. Digital transformation is fundamentally about people, culture and processes and can be grouped into three broad categories across our organisation: communication, collaboration and customer experience. Technology is the enabler for our digital strategy. I research, implement and manage a variety of platforms, including digital asset management. We currently own 190,000 image files. These are stored as various image sizes and qualities and equate to 650Gb in hard drive storage on a shared drive. In addition to these image files, we also own a vast number of related or linked files – consent forms, captions and source documents. The collections management team currently store images on the shared drive, and use an array of external hard drives. They also have a dedicated collections management system MODES. We neither have the infrastructure nor the tools to organise, locate or manipulate image files efficiently. 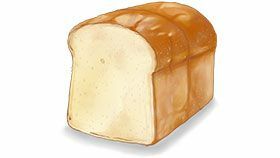 There is no ‘single source of truth’ and there are many known duplicates. 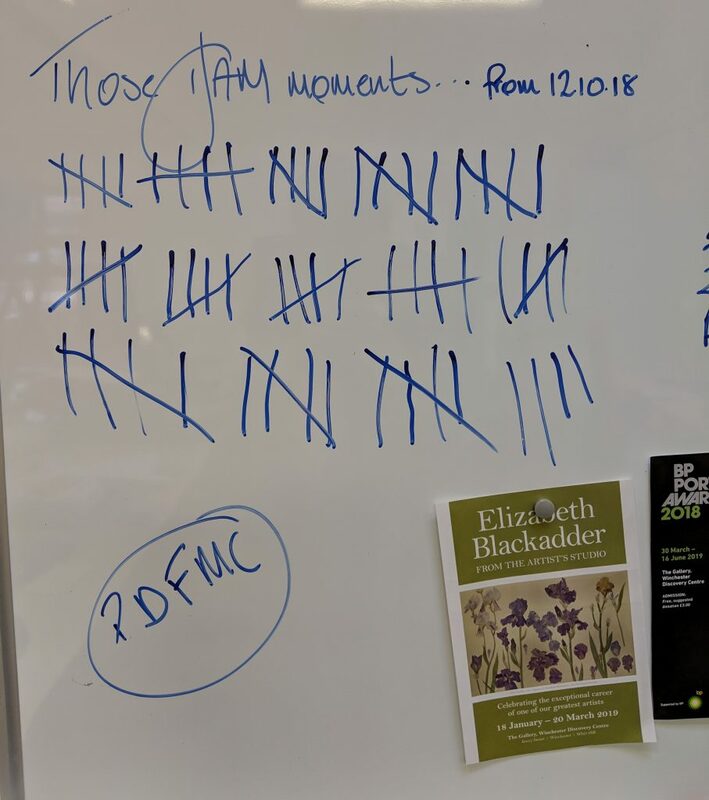 As a small and fun experiment, we kept a tally of ‘DAM moments’ on the whiteboard in the marketing and fundraising office. ‘DAM moments’ recorded at work to help illustrate the need for a solution! The team recorded 51 ‘DAM moments’ over a typical 4 week period. Using a crude average of 15 minutes per ‘DAM moment’, approx. 13 hours per month was spent searching for assets. Multiplied across other related departments and venues ie. community managers, arts marketers, collections and exhibitions staff, the need to improve workflow(s) becomes evident. During the session, many overlapping criteria were recognised as collections management system (CMS) functions. Based upon DAM/CMS market research and general software availability, there is currently no benefit in merging a DAM with a CMS. 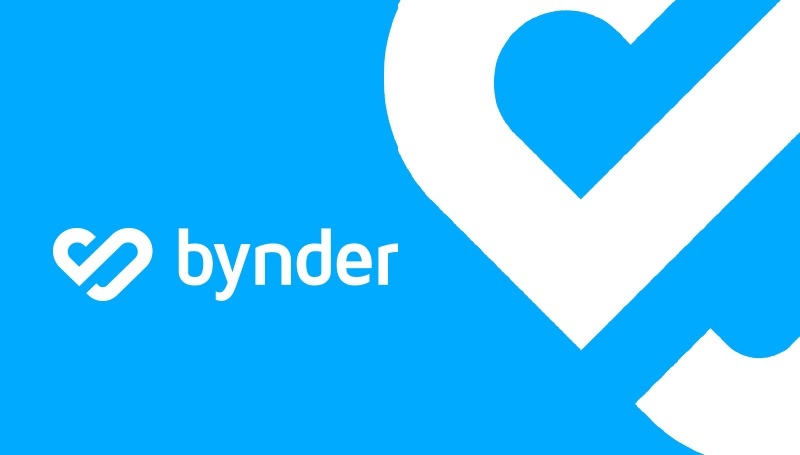 After many hours of research, we whittled down a long list of potential DAM platforms to a short list of 3: Bynder, Swivle and Brandfolder. We have watched a number of DAM demos and tinkered with trial accounts / demos. We tried to explore typical workflows and uses to get a good idea of how the DAM will work day-to-day. A summary of our findings are below. Immediate self-service trial available, completely unrestricted. It took me < 1 minute to setup an account and get started. Inviting team members is easy, and we have a lot of control on permissions/access. The folder structure is only really used for dumping files – the search bar is used 90% of the time to locate assets. Whilst a folder structure is important, it’s not as crucial as initially perceived. Folder structure is more useful for determining permissions/access as opposed to locating files. The upload process is very simply and smooth, but does require a folder to commence. Tags are really easy to apply both during and after upload. Tags form the basis of DAM navigation so we will need to agree upon a tagging convention. Very fast navigation, the search is lightning – uploading full-size assets from Chilcomb House was very fast thanks to our decent internet connection. Sharing assets is very simple, and can be done on a file-by-file basis, a quick selection of a few files, or for more permanent and external-facing assets, the Portals can be used. We will need to agree on the best method of sharing internally and externally, but we have options. The portals are easily shared, but do not display well on mobile (clunky, not optimised for mobile screen). This is a bug and will likely be fixed soon. There is a mobile app available but this is intended for Swivle owners (us) not recipients. In practice, it’s unlikely a recipient will want to download assets onto their mobile. The external upload feature was used with a photographer and was very simple to request/manage. Assets appeared in a folder of my choice, but it’s up to me as a content manager to determine what is done next with regards to tagging, permissions, availability etc. The Swivle support team have reached out a couple of times to check on my progress. However, I have not needed any assistance thus far. I have tested the bulk resize feature and it works very nicely – 80 images were exported at a suitable resolution, ready for our website. The process of uploading, tagging and exporting took a few minutes in total. Overall I am very impressed with Swivle in terms of features, usability and price! It’s a true SaaS product – self service and payment from the word go. Brandfolder trial available upon request, which took a couple of days to activate. It took me a few minutes to setup and customise our account. There is no navigable folder structure in Brandfolder. 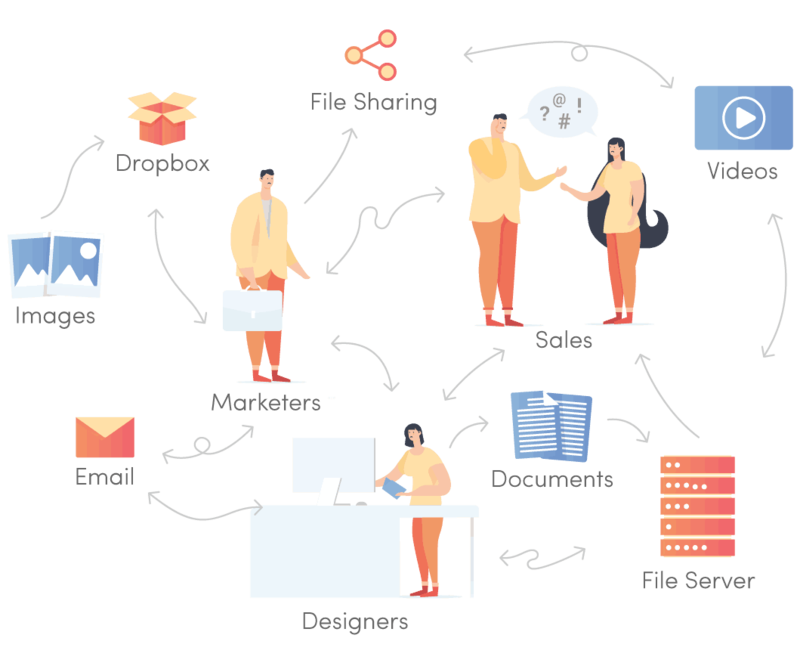 This is a deliberate user experience design to move away from the folder/silo convention brought about by consumer computers – we’re all used to folders! 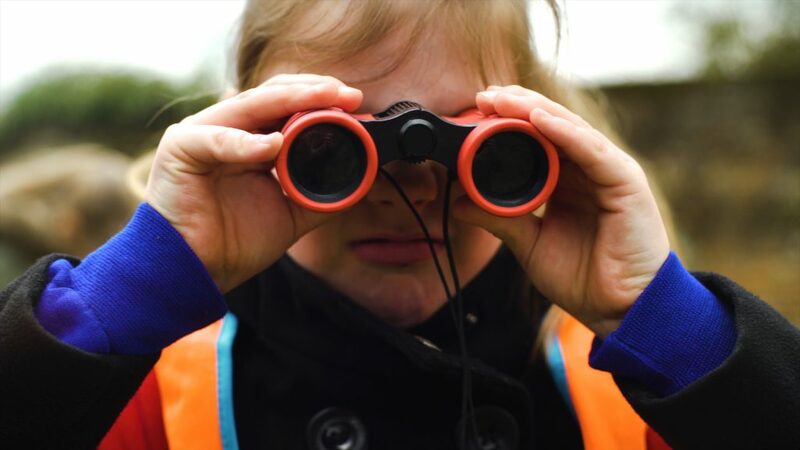 In practice this is actually not a problem at all – the search feature is used to locate assets. The upload process is very simple (almost too simple!) as no directory is required to commence. There are two interfaces for uploading, both do the same thing it’s just personal preference. Upload speed felt slower than Swivle, but this could be circumstantial. One major point is that Brandfolder cannot upload directories – you have to upload the actual files (as opposed to folders) so this is quite a bit slower from an a starting position of unorganised chaos! Navigation is fast and smooth, but noticeably slower than Swivle. The lack of directories requires much more consideration before uploading, and our tagging convention must be adhered to rigorously. It feels as though there is less room for error with Brandfolder. Automatic tagging is equal part amazing and pointless. For example, an image of our chief exec wearing his ‘Paul Sapwell CEO’ sticker was read by Brandfolder and applied to the image description, making it searchable. Brandfolder also does this with text on ANYTHING inside a photo eg. presentations, signs, books, car regs etc. The AI tags are mostly useless, but could be helpful in a year or two once the technology has improved. The auto-tagging feature didn’t clutter or create a ‘soup’ of metadata. 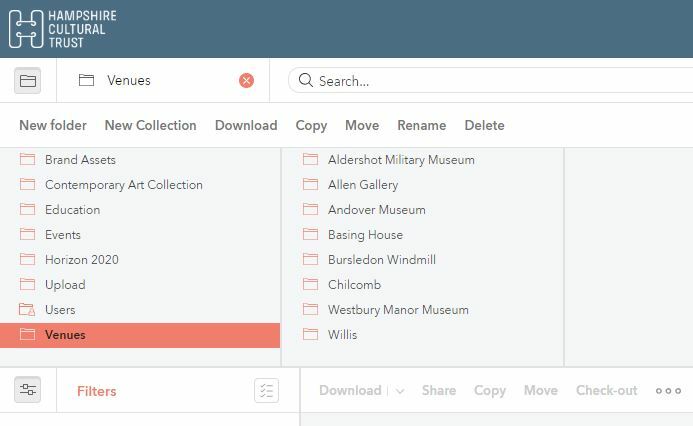 Sharing assets is very simple, and as per Swivle can be done on a file-by-file basis, multiple file selection, or for permanent external facing files a ‘Collection’ is used. Collections are simple to configure and have many settings on permissions and access. Great for PR assets! Collections are easily shared and display nicely on mobile – the previews work well. These work particularly well for brand assets eg. logos, brochures, tyepfaces and colours. The external upload feature is somewhat easy to configure, but upon upload the process is much more refined. Assets can remain unapproved until a content manager works through the process. There is still the need for an asset management process but Brandfolder seems to make this easier/more obvious. Brandfolder has an interesting integration with Slack, which enables DAM searches from within the Slack chat app. This would actually be tremendously useful for quick images references, but as we are going to be using Workplace Chat and not Slack this feature is redundant. The bulk resize feature works well. The process of uploading, tagging and exporting was a bit slower than Swivle due to the lack of folder uploads, but once in the DAM the exporting was good. Overall I am mostly impressed with Brandfolder in terms of features and usability – I am completely sold on the “no folders” approach! The pricing however feels completely bespoke per organisation, based on the features we want or need. This is because it is not true SaaS – I am wary that we might face additional costs down the line. Bynder was unfortunately too expensive, even with a charity discount. Bynder has some amazing tools like brand templates, and an incredible image resize / crop tool built in, so you can export images at specific dimensions directly from the DAM. Despite being best-in-class, we couldn’t justify the cost. The two platforms Brandfolder and Swivle are very similar with regards to features. The only real differences are user experience, user interface (UX/UI) and cost. Our biggest talking point centered around Swivle’s directory structure, which was a great tool for those who like to browse this way. The project team voted unanimously for Swivle – better priced, easier to use, and a more familiar structure for our team. Dropbox, Dropbox Business or Google Drive – simple solution; less sophisticated but entirely feasible. Sharepoint – a bit old school, but might be a free addon with your Office365 package. These platforms are all familiar tools for your stakeholders, and are very cost effective (often free) compared to a dedicated DAM.